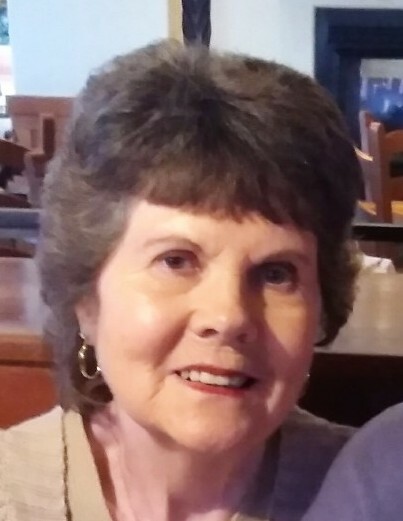 Louise Werwinski Wigfall, 76, of Carbondale, died Sunday morning March 17th at Allied Services Hospice, Scranton with her husband Robert Wigfall by her side. Born in Simpson, daughter of the late Charles and Mary Marcavage Werwinski, she was a faithful member of St. Rose of Lima Parish, Carbondale. A graduate of Fell High School, she was previously employed as a secretary at Wallis Electric, Carbondale, and later, as a home health aide. Louise was a devoted wife, mother, grandmother, and great grandmother. The family would like to thank Dr. Neil Davis and Dr. Martin Hyzinski and their staffs, the Carbondale Nursing Center, Paragon Home Health, and Allied Hospice for their compassionate care of Louise. Surviving in addition to her husband Robert are a daughter: Lori Sokalsky, Mayfield; two sons: Victor Dottle and companion Eva, Dunmore; and Charles Dottle, Carbondale; five grandchildren: Jill, Megan, Matthew, Evan, and Chase; two great grandchildren: Tyler and Roman; a sister: Joni Pepsin, Middletown, NJ; two sisters-in-law: Mary, Simpson and Kay, Buffalo, NY; and several nieces, nephews, and cousins, and many friends. She was also preceded in death by two brothers: Ray and Carl Werwinski and a son-in-law: John Paul “Pope” Sokalsky. The funeral will be Thursday, March 21st with a Mass of Christian Burial at 11 am in St. Rose of Lima Church, Carbondale. Spring interment, St. Michael’s Cemetery, Simpson. Friends may call Thursday at the church, from 10 am until mass time. Arrangements by the Brennan & Brennan Funeral Home, Inc., 55 Lincoln Avenue, Carbondale.